Publishing date: 14. 07. 2015 | This entry was posted in LINDART, NEWS. Bookmark the permalink. 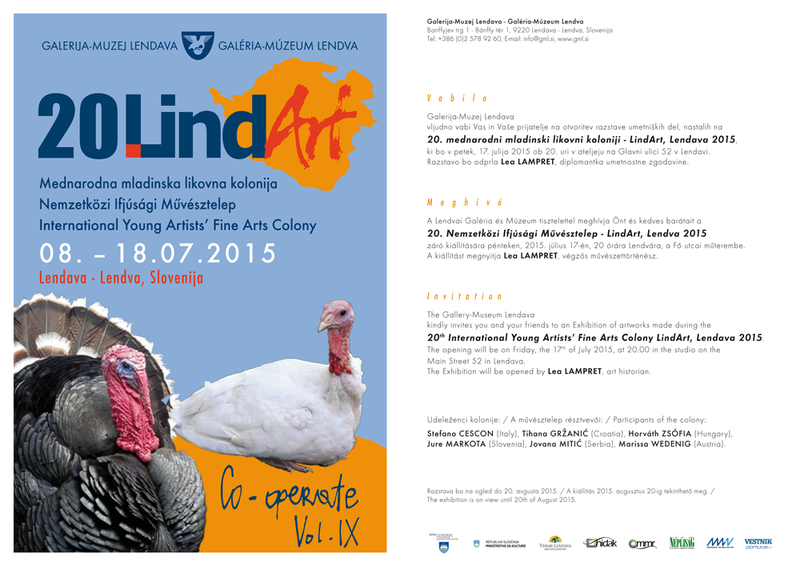 The Gallery-Museum Lendava kindly invites you and your friends to an Exhibition of artworks made during the 20th International Young Artists’ Fine Arts Colony LindArt, Lendava 2015. The opening will be on Friday, the 17th of July 2015, at 20.00/8pm in the studio on the Main Street 52 in Lendava. 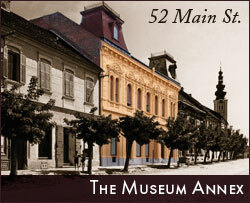 The Exhibition will be opened by Lea LAMPRET, art historian. Jure MARKOTA (Slovenia), Jovana MITIĆ (Serbia), Marissa WEDENIG (Austria). The exhibition is on view until 20th of August 2015.